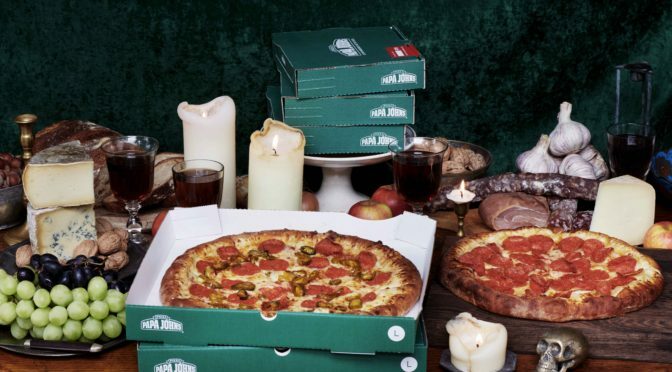 This Christmas, ditch the standard chocolate advent calendar, and spice up your Yuletide season with Papa John’s Festive Countdown. Here at Papa John’s, we want to say thank you to new and existing customers alike, with four weeks packed full of great offers including delicious discounts, pizza prizes, charity donations and random acts of kindness. 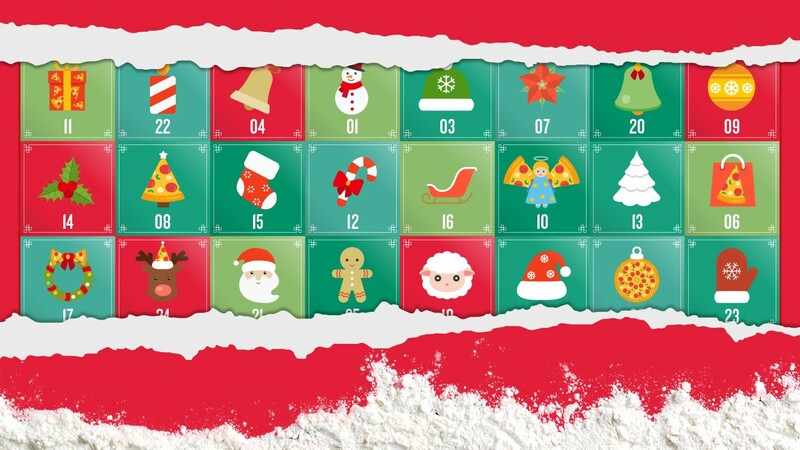 Altogether, the Papa John’s Festive Countdown advent calendar will guarantee lots of Christmas cheer. The advent calendar tradition dates back to the 19th Century, and we’ve brought it right up to date with our ultimate advent calendar, which has something for everyone. 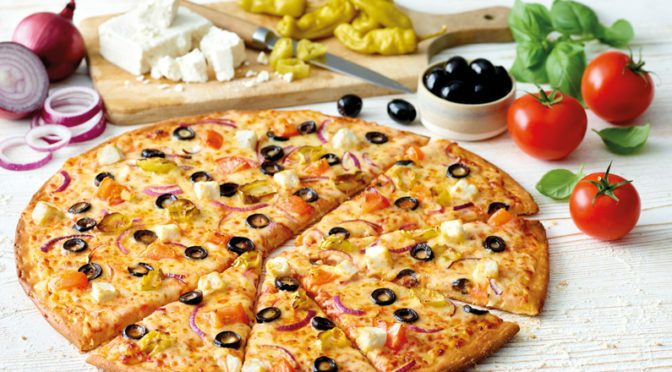 Celebrate and save with more Papa John’s treats than we can list! From our very special limited-edition pizza to Cherry Shimmer Candy Canes, there are lots of treats to get you into the festive mood! Our advent calendar is also packed with a selection of prizes for the lucky winners. Be the most popular person in the office, with a prize that will bring Xmas cheer to many*, and don’t miss our ultimate Christmas prize on 25th December, when you can win a gift that will keep on giving throughout 2019*. 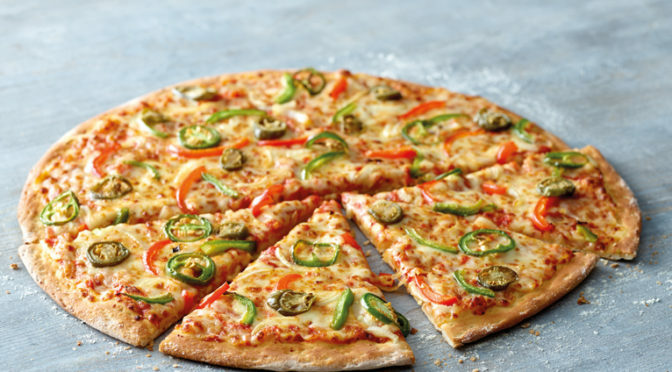 Here’s a clue: check out our round up of the UK’s 10 most popular pizza toppings, and keep the list handy for inspiration. While savings and prizes are a great way to celebrate, also help us do the right thing this Christmas with our dough-nateTM plans. 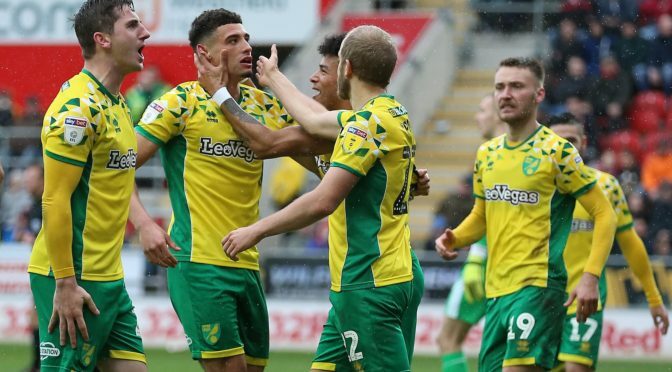 (Did you see what we did there?!) On 21st of December, we’ll be getting you to help us donate to a very special charity, to be revealed… * Who can resist the added satisfaction of knowing that your pizza payment is helping those in need? Continuing on the giving theme this festive season, watch out for our random acts of kindness on 19th and 20th December. We’ll put a smile your face with our plans to pay it forward!